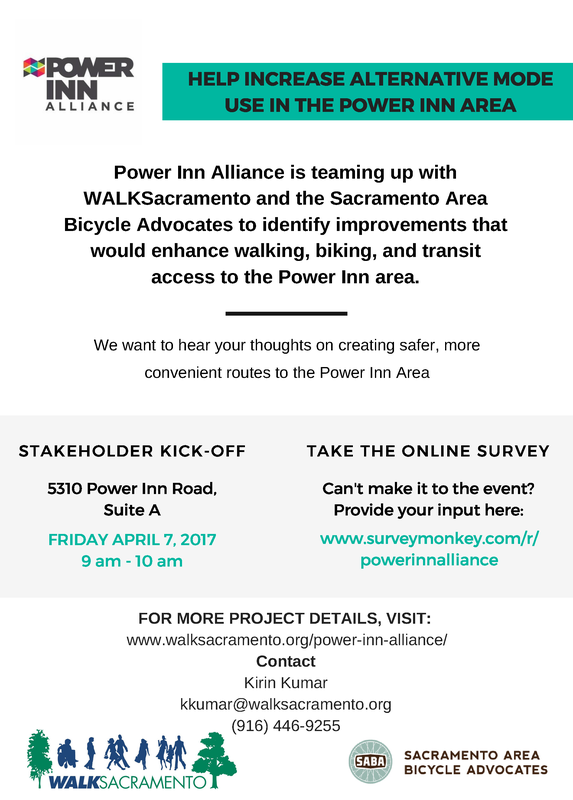 Together, WALKSacramento, SABA, and PIA are working to identify short, medium, and longer term solutions that would improve walking, biking, and transit access to the Power Inn Area. 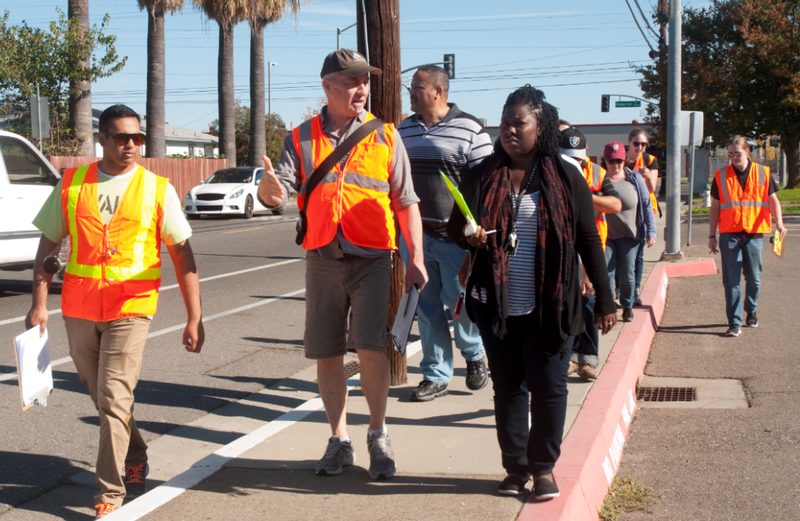 The solutions will be gathered through a comprehensive outreach process and a series of walking and biking assessments. 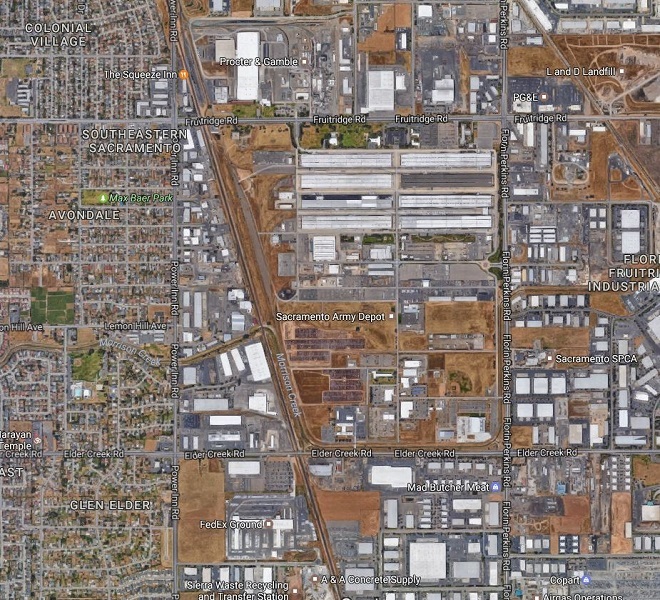 • Creating low-stress commercial district streets that support local business other PIA efforts. • Identify program improvements such as shuttle service to supplement efforts to increase access. Details: More information to come. 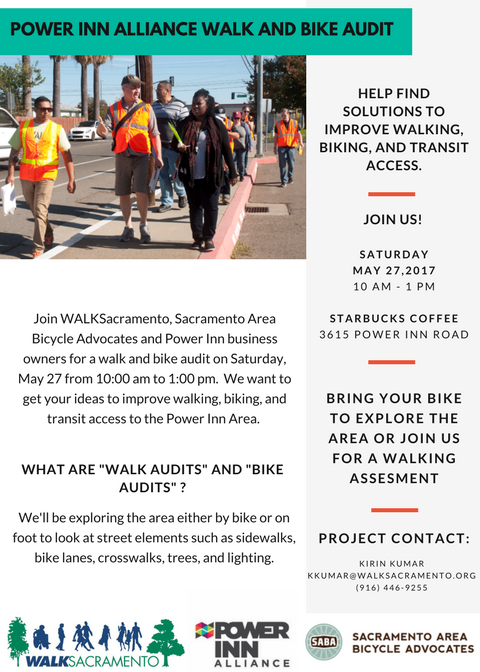 Details: Bring your bike to audit the area with Sacramento Area Bicycle Advocates or Join WALKSacramento for the Walk Audit. 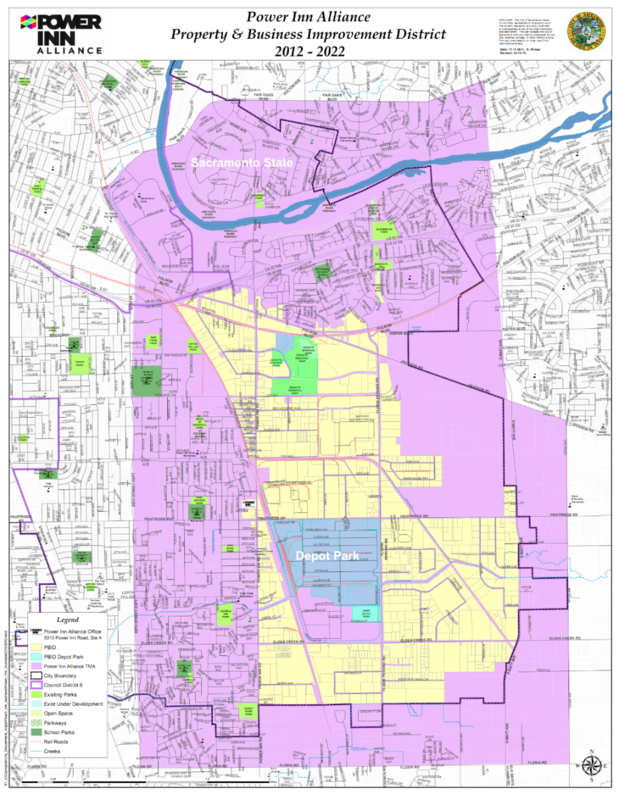 Power Inn Road – Areas to the west including parts of the Tahoe Park, Colonial Village, and Avondale Glen Elder Neighborhood Associations. Areas to the East include Depot Park. Power Inn Road and Fruitridge Road Intersection with Colonial Village and Avondale Neighborhoods to the West and Proctor & Gamble and restaurants to the East. 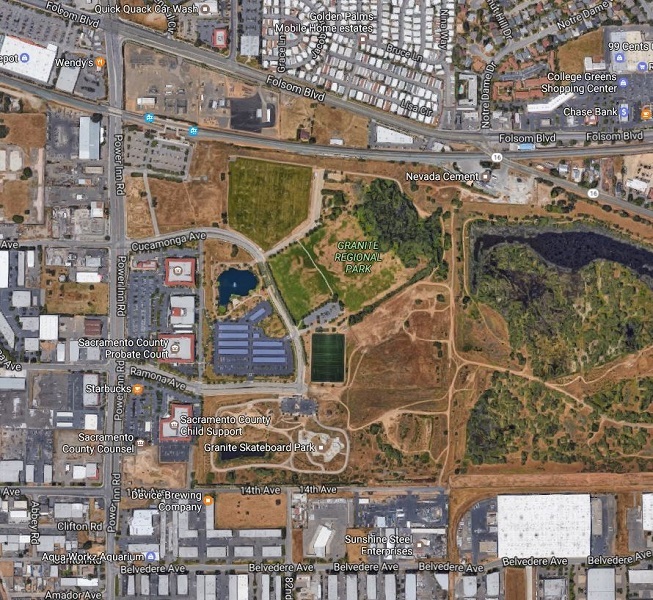 Granite Regional Park to the East of Power Inn Road. 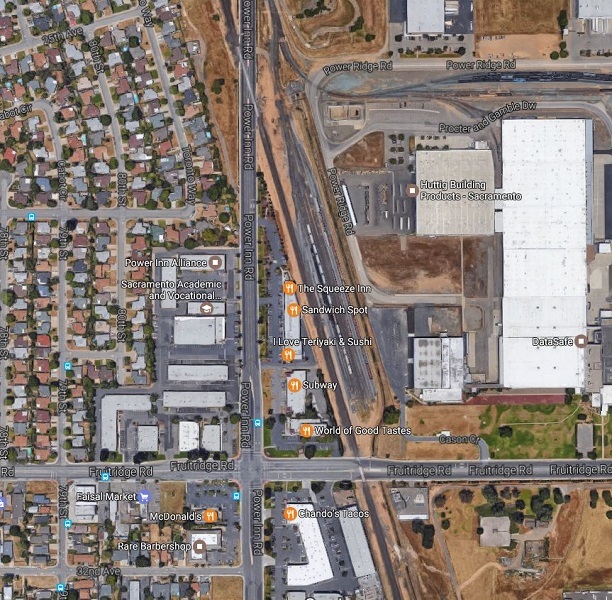 Let us know your ideas for Improving walking, biking, and transit access to the Power Inn Area. PIA Kickoff Meeting Flyer. Download PDF. Learn more about the Project. Download PDF. Walk and Bike Audit Flyer May 27, 2017 Download PDF.